Luis R. Merino – Visual Communicator. Experience Designer. User Advocate. Creative Problem Solver. Usability Testing allows designers and webmasters not only to observe how users engage websites, but also understand their thought patterns and needs. This feedback gives focused direction on how to make websites easier to use and it doesn’t have to cost a dime. 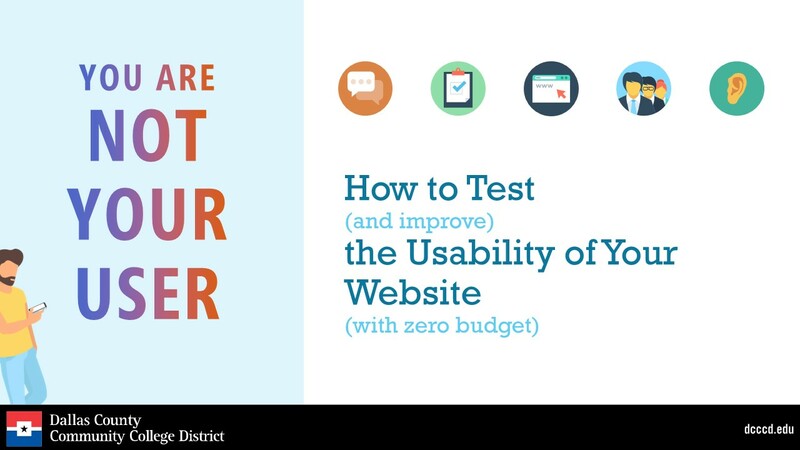 In this presentation you will learn why testing is important, how to prepare and conduct testing sessions and how to use test results to inform crucial website design and content decisions – all without a budget. Key messaging: It was important to do this in a light-hearted and energetic tone.